Virtual Assistants wanted to give their customers a living gift for Christmas to say Thank You, and they wanted something that could be placed on a desk or taken home to enjoy and something a bit funky. 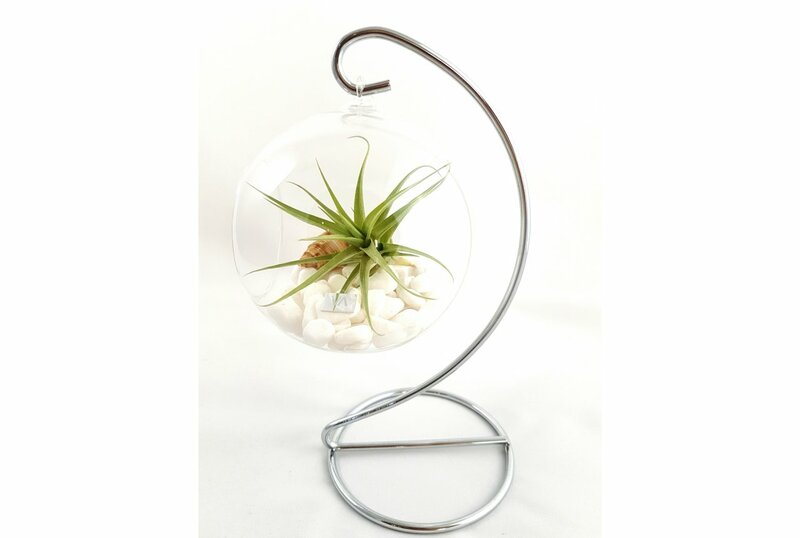 They chose a living gift – an Air Plant in a Glass Terrarium on a chrome stand with white pebbles & shell. To brand this item we engraved a chrome metal plate to sit on the pebbles with VA’s logo. This item is practically packed and easy to courier to individual addresses.